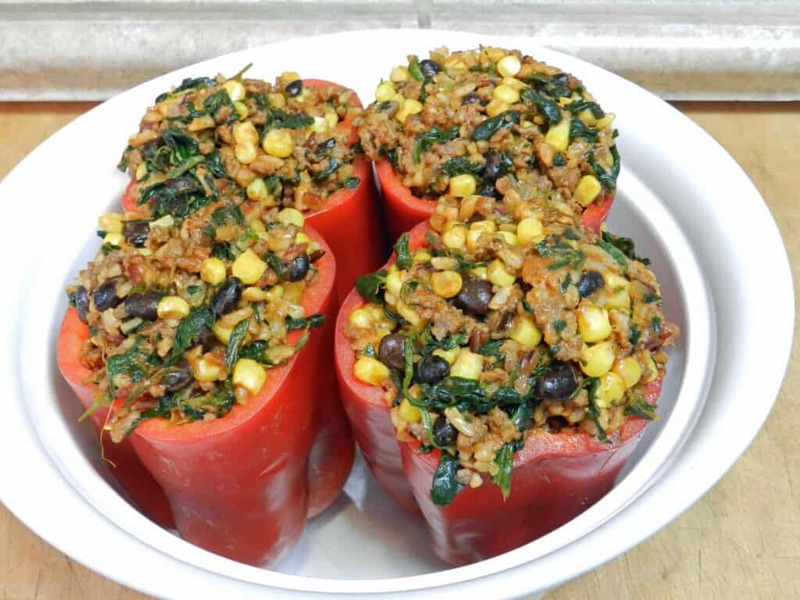 Have you noticed all of the Stuffed Peppers recipes on the internet lately? I was intrigued by them and decided that I needed my own version. First let me tell you a secret, I have never been a fan of bell peppers but I am trying to broaden my horizons, and try new things….. 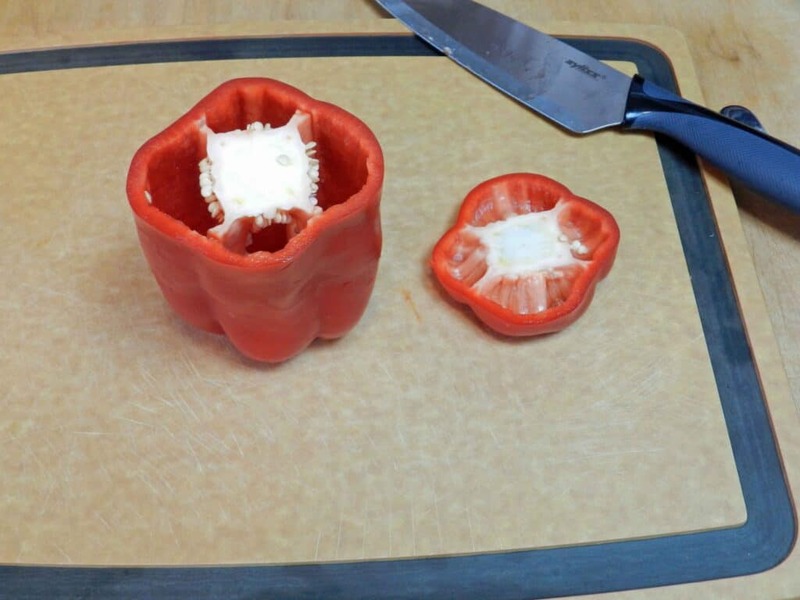 I had already fell in love with roasted bell peppers, so I thought that this would be a good next step…..and I was right! What better time to try something completely new, than on a date right? That is exactly the kind of thing that I would do!! Adorable!! To make them a bit “healthier” I decided to fill them with Wild Rice. 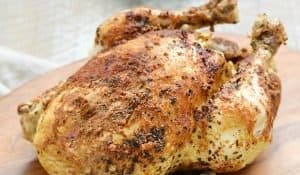 I chose one that cooked quickly (15 minutes) and I started throwing things into the skillet! Normal people would probably start with a recipe, but that’s not how I roll folks. I see a picture on pinterest, and that is all the inspiration that I need. I started by cutting the tops off of the bell peppers…..
then I removed the seeds and veins…..
cooked everything on the stove-top in a skillet….. The filling seemed a bit dry, so I grabbed some enchilada sauce. 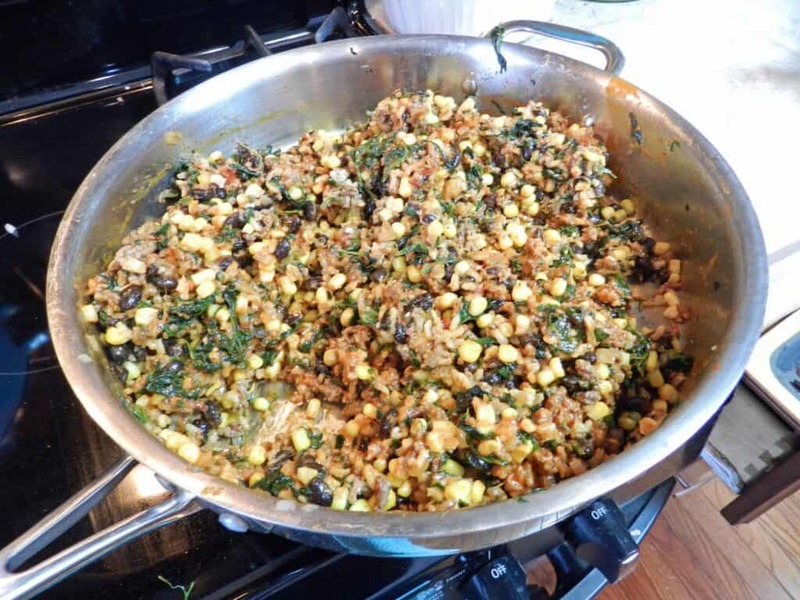 I added it to the stuffing mixture, and then poured even more on top when I served them…and they turned out perfectly. I would not be embarrassed at all to serve these on a real date, they were delicious! Spinach is high in vitamin K, which is good for bone health, and manganese, which helps lower blood pressure. I should really eat more spinach!! 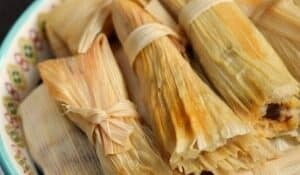 It also has anti-inflammatory properties, which is awesome! 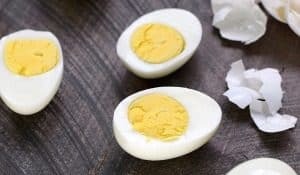 You could add sour cream or Greek yogurt to increase the calcium content as well. Part of my thinking with the Pumpkin Soup, and now the Stuffed Peppers, was to justify the Eggnog Creme Brulee that I had been wanting to try…as well as the Gingerbread Cinnamon Rolls! That’s what they mean by moderation, right? 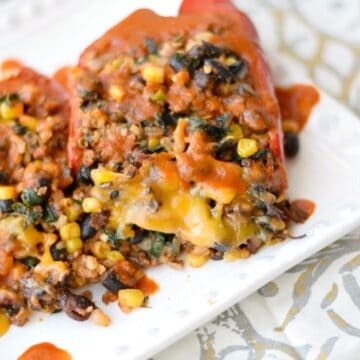 My version of Stuffed Peppers with wild rice, beef, spinach, corn, beans, and enchilada sauce makes the perfect meal any night of the week! Preheat oven to 350 degrees. Heat oil in large skillet over medium heat. Add onions and garlic to oil and cook until softened. Add the ground beef and cook until no longer pink. Add spinach and wild rice, and stir to combine. Stir in the corn, black beans, and half of the enchilada sauce. Fill the bell peppers, cover with foil, and bake for 30 minutes. Remove the foil and top peppers with shredded cheese, bake for 5 to 10 minutes or until cheese is melted. Slice the peppers in half down the center, place on a plate, and cover with remaining enchilada sauce. Lisa I do believe this may the only way I could eat stuffed peppers! 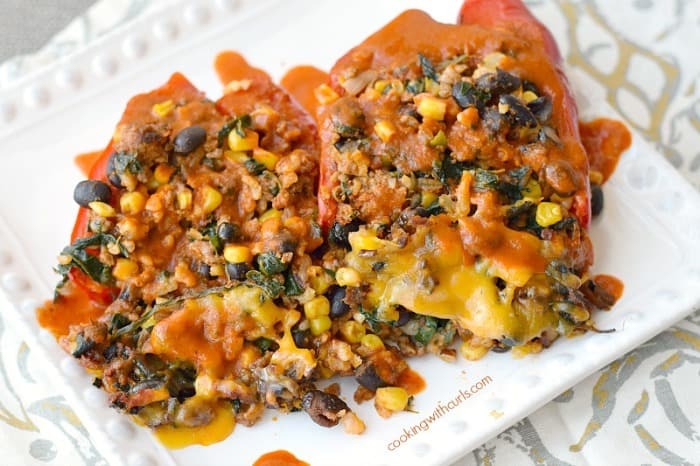 I was never a fan of traditional stuffed peppers, but I am loving yours with the beef, spinach, black beans and enchilada sauce! 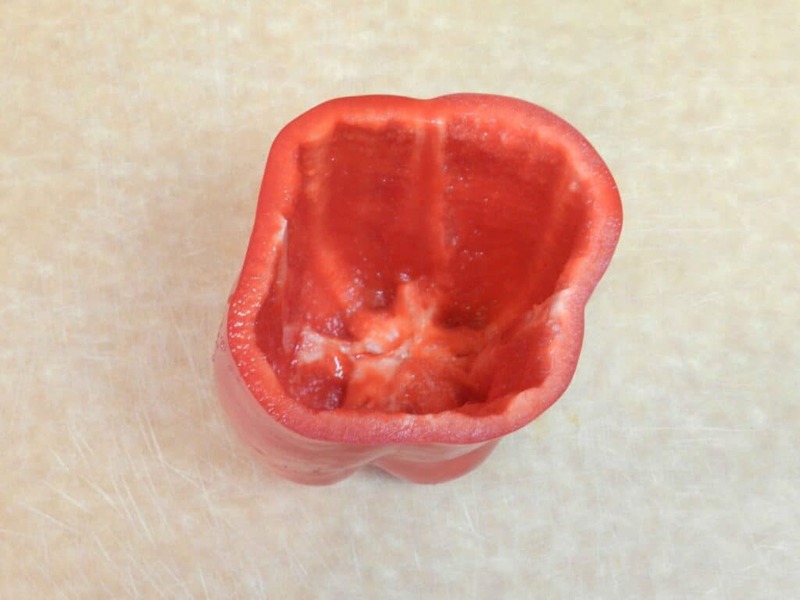 I’ve never been a fan of bell peppers either! At least not in large quantities. But these look yummy and I’d be willing to give them a go. Although, Bradley is still yummier…just sayin. Girrrrrrrrl. These look amazing! I’m stuffed peppering at your place!!! Seriously! Love it. Pinned!!! 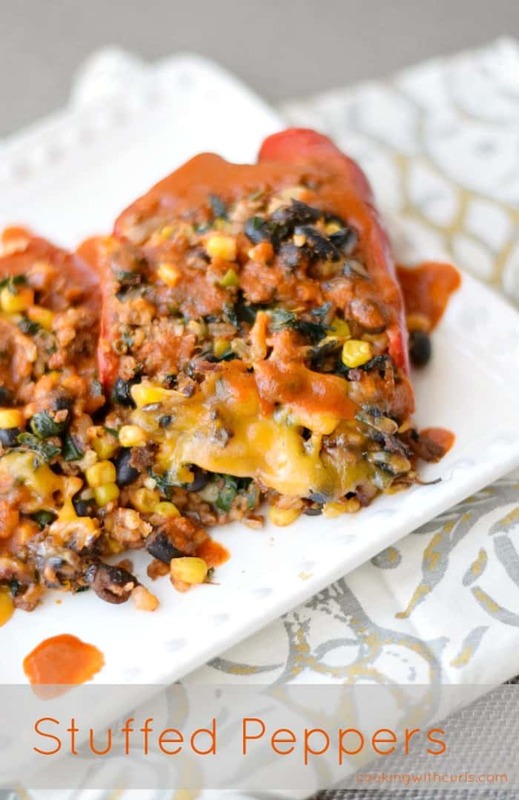 I really just love stuffed peppers and these look amazing! Thank you for sharing with us!! I love that you used enchilada sauce in these! Perfect!! !